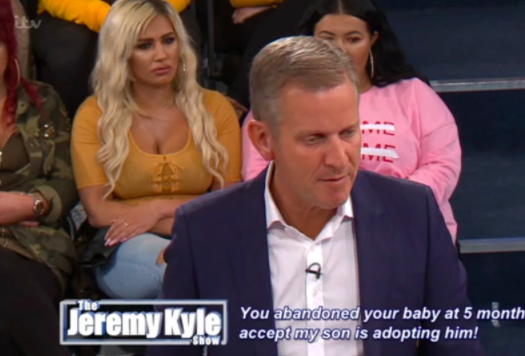 Ah The Jeremy Kyle Show. A programme seemingly devised in a lab for students to chortle and class shame at over their 9.25am cornflakes. Broken, let down individuals bring with them tales of woe and wasted lives; teeth rotted to stumps and children reduced to pawns in grimly aimless relationship games. Prime fodder to rip apart and humiliate before a snickering audience who are in turn momentarily relieved to feel elevated above the car crash of dysfunction set before them. However, every now and then there is a moment of beauty in the clinically blue studio which distracts from the show’s casual brand of schadenfreude. The latest show began as usual involving the time old issues of custody and family disputes. Things got even more murky when Sammy Jo confessed she was now in a relationship with her second cousin, leading many of the audience members to visibly grimace. However, people at home were distracted by a beautiful woman on the front row, sat just behind where Jeremy was standing. Another simply purred, ‘perfect’ with two heart eyes emojis. 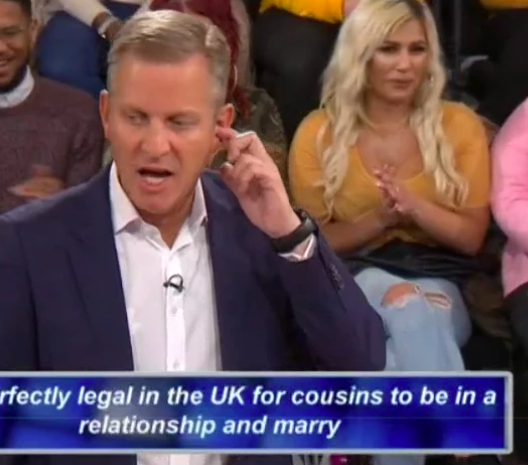 Sod the squabbling chavs on the stage the cameras should just stay focused on the blonde in the mustard coloured top in the audience #JeremyKyle ? The squabbling on stage was soon lost beneath an angelic chorus of wonder; cutting through Craig and Sammy Jo’s meaningless point scoring like a sunbeam. Despite much storming off stage and retraction of birthday invitations, the saga of Craig and Sammy Jo was soon sadly forgotten after the appearance of the mystery audience member. What an unexpected flurry of excitement in the midst of sheer, screaming gruesomeness. Do you know who this enigmatic woman is?